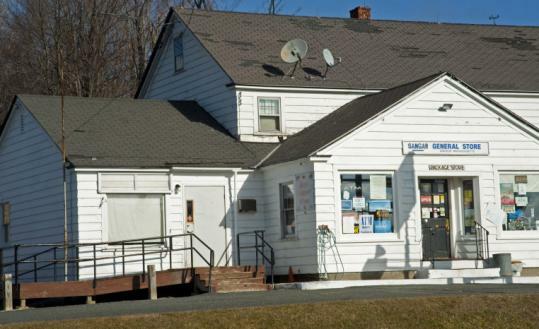 For 113 years, the Post Office in Windsor brought people together in the small town in the Berkshires, providing a place to chitchat, do business, and send their precious parcels where they needed to go. But this fall, to the dismay of many of the town’s 900 residents, the US Postal Service closed its local branch, located most recently inside a general store. As the Postal Service struggles with financial woes and as mail volume plummets with the turn to texting and e-mail, it is closing an increasing number of post offices. A little more than a century ago, when there were only 45 states and the nation had a quarter of its current population, there were 71,000 post offices, double today’s number. The cuts have been accelerating, and this year there are 742 fewer post offices across the country than last year, more than three times the number of offices that were closed last year and substantially steeper cuts than at any time in the past 15 years. In the Boston area, where there are 296 post offices, the Postal Service closed its historic branch in Faneuil Hall this year and plans to shut down its 27-year-old branch at Boston University and the modular office it has had for years at Logan Airport. In addition to its outpost in Windsor, the Postal Service has in recent years closed offices in Charlton and on Otis Air Force Base in Buzzards Bay. He said the Postal Service must act because it does not receive tax dollars for operating expenses and lost $8.5 billion as mail volume dropped 3.5 percent in fiscal 2010, which ended in September. The news of the impending closure of the branch at Logan Airport, which had to pay more than $100,000 last year to rent its space in a modular building beside the new economy parking lot, has angered longtime patrons, many of whom work for the Massachusetts Port Authority. What they like about the branch, which last year lost more than $16,000, is probably what is forcing its closure. Parking is free, which makes it easy for those carrying large packages, and there are 300 post office boxes accessible by a door that never locks. The branch used to be staffed 24 hours a day but had its hours cut when travel declined after the attacks of Sept. 11, 2001. Jim Dunyon is the last counter clerk at Logan, where the branch is now open just 25 hours a week. At Boston University — where, over the years, thousands of students have entrusted the uniformed staff behind the scuffed desks with everything from school and passport applications to luggage and love letters — students and staff are fuming. For more than a decade, Nancy Paine has sold them stamps and money orders and ensured that the mail got out on time and in the right bins for those who found their way to this basement branch in the university’s student union. Many decades-long patrons of the Post Office are upset the university did not do more to protest the closing of a branch that last year earned a profit of $172,000. They point out that other local schools — including Harvard, MIT, Tufts, Babson, and Boston College — fended off similar closing plans by cutting rent. University officials said they tried to stop the closing, but Tarmey said he never heard from them. He said they did not respond to multiple messages over the past year that might have led to a deal to defray the $19,000 the Postal Service pays BU in rent. Paine, who has worked the counter at BU for 12 years, will miss watching students nervously hand over everything from stacks of graduate school applications to luggage too expensive to take on an airplane to erroneously addressed letters, which she has routinely corrected for them. Then there are all the familiar faces who have become like family.